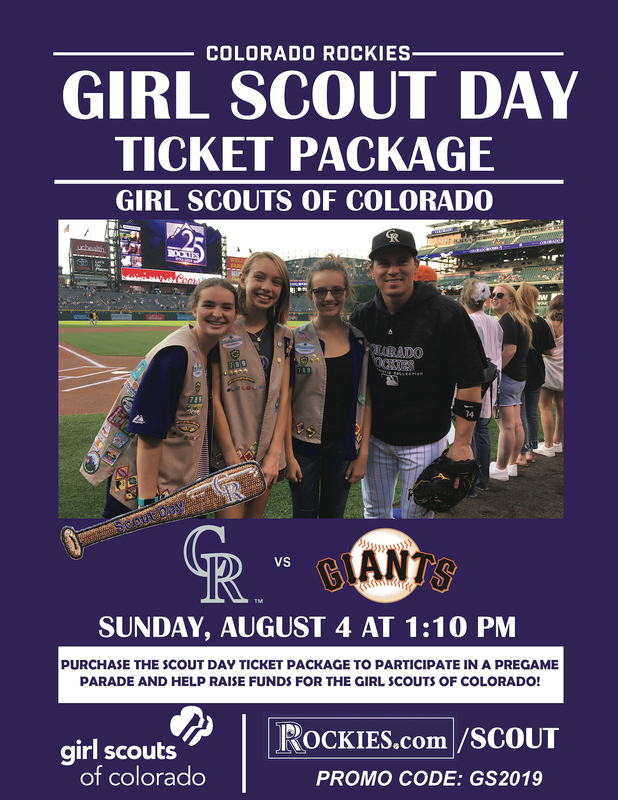 Join us for Girl Scout Day with the Colorado Rockies on Sunday, August 4, 2019 at Coors Field in Denver. All Girl Scouts, family, and friends are invited. Cheer on the Rockies as they take on the San Francisco Giants. All Girl Scouts attending are invited to participate in pre-game parade and will receive a special event patch. The game starts at 1:10 p.m. Girl Scouts participating in the pre-game parade should arrive two hours before the game to prepare. More information will be released closer to game day. 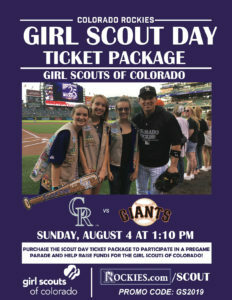 To purchase tickets, visit rockies.com/scout and use promo code GS2019. See the flyer above for all information. You can click on the image to make it larger and easier to read. Ticket prices vary depending on seats chosen. 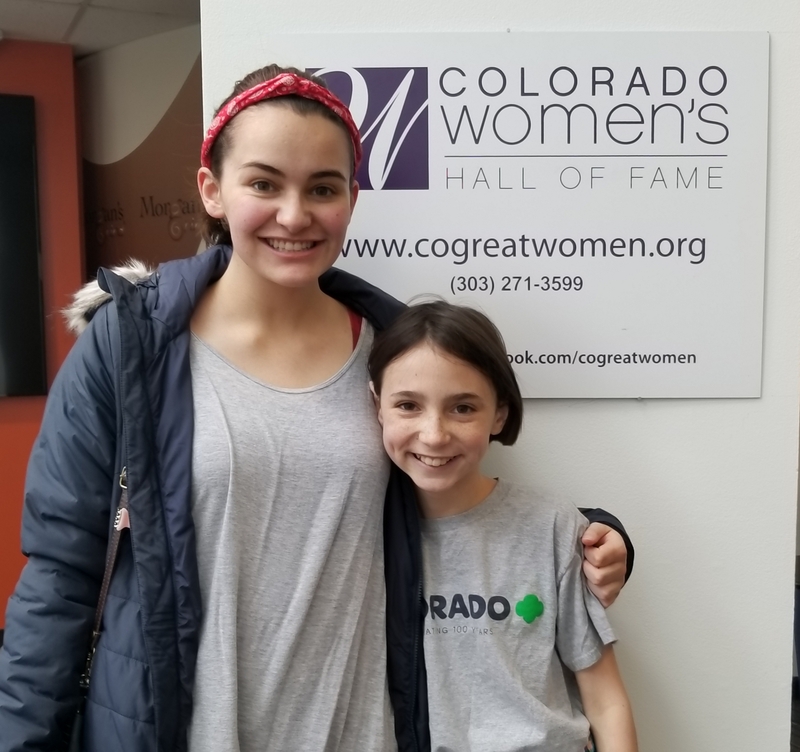 To celebrate Women’s History Month, my mom took me to CSU in Ft. Collins and I met my cousin Raechel. We all walked to the library on campus and checked out the exhibit on display about Colorado women who have been inducted into the Hall of Fame. It was really interesting. My favorite was learning about Susan Helms. How amazing to be a part of so many firsts for women! She attended the Air Force Academy in Colorado Springs, where I’m from. How can you help save the environment? 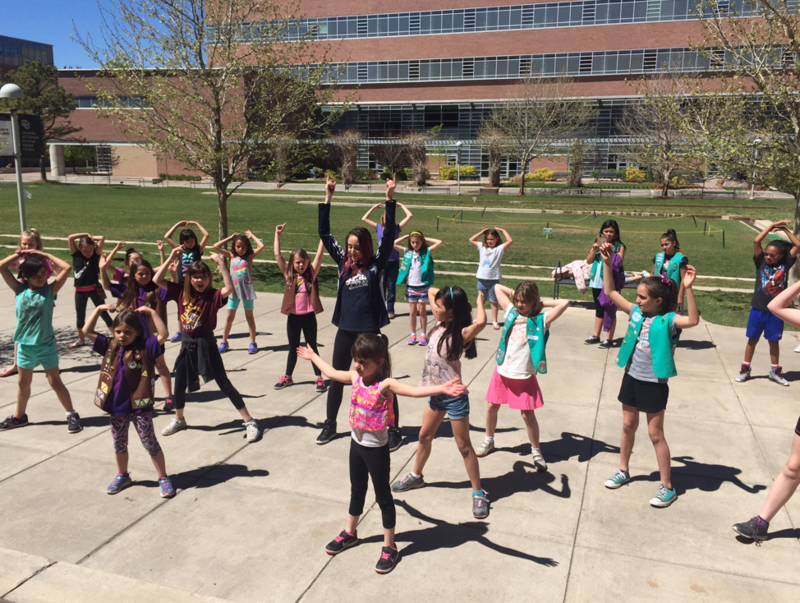 Join us at Denver Botanic Gardens on April 13, 2019 for our Household Elf Girl Scout Exploration Day to find out! 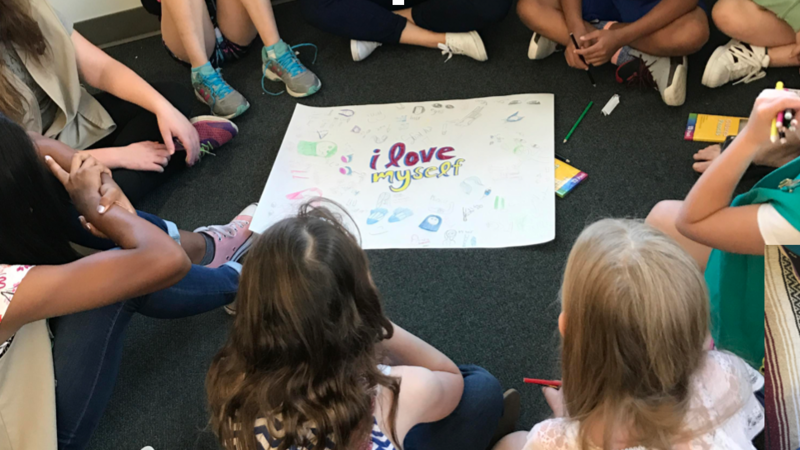 Through scavenger hunts, crafts, and hands-on activities, Girl Scouts will learn ways to save energy, conserve water, and reduce waste. Girl Scout Exploration Days offer girls the opportunity to explore plant-based themes through a variety of hands-on activities and take-home projects. Each exploration day offers several activity stations set up throughout the Gardens for groups to explore at their own pace. Pack a picnic lunch and make a day of it. Discover simple ways to conserve energy at home. Complete a scavenger hunt to learn more about water smart gardening. Decorate a reusable shopping bag to take home. Plant a house plant to take home. This program is designed for Girl Scout Brownies. Admission is $12 per girl, which includes admission to the whole Gardens for the day. One adult (troop leader or parent) for every five Girl Scouts is admitted free of charge. Additional adults and non-participating siblings (those not participating in the take-home activities) receive a reduced admission of $7 each. Siblings who wish to participate in take-home activities should register as Girl Scouts. Use the link below to register or call (720) 865 – 3785. A bridging ceremony is an important transition in a Girl Scout’s life. It’s a defining moment when a girl celebrates her achievements and prepares for new adventures and responsibilities. Once a girl bridges to a higher level of Girl Scouting, her leadership skills and the experiences she will have continue to grow. Girl Scouts is not simply an after-school activity, it’s the Girl Scout Leadership Experience that builds as girls progress through the program that gives girls the skills they need to empower themselves to take their place as future leaders. 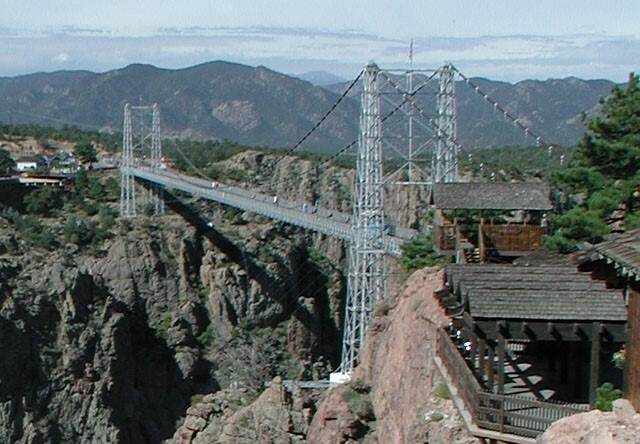 Join Girl Scouts from across Colorado at our special statewide bridging ceremony on the Royal Gorge Bridge – the highest suspension bridge in the United States! We are organizing an official crossing of the bridge at 11 a.m. and will host a reception after. When you check in at the Girl Scout table inside the park, you’ll receive a wristband that will allow you into the reception area. Reception includes cupcakes, lemonade, and activities led by GSCO staff. All attendees must also pay $18 per person for discounted admission into the Park, which is good all day. Your discounted admission covers access to the park, bridge, theater, unlimited Gondola rides and any other seasonally available attractions and entertainment. You may purchase tickets day of or in advance by calling (719) 276 – 8320. We recommend advance sales for groups of 15 or larger to expedite entry. If you purchase admission tickets in advance, you will pick them up at Will Call the day of the event. Registration for the GSCO reception will close on Thursday, April 25. Interested in camping near the Royal Gorge for this event? Check out camping information on the Cañon City website or Royal Gorge. This is not a drop-off event. All Girl Scouts must attend with a parent, troop, leader, or guardian. Adult to girl ratios for events must be met. Bunk with the Beasts CampOUTs are overnight adventures for Girl Scouts at Denver Zoo. You’ll enjoy private tours of the Zoo, a campout dinner on zoo grounds, live animal encounters, and campfire treats. You will then conclude the evening by camping out underneath the stars in our special safari tents! Dinner, snack, and breakfast are included. Other Girl Scout happenings at the Zoo include Girl Scout Overnights. Spaces are also still available at the April 13, 2019 Pets Bunk. Bring your Girl Scout group to spend a night at Denver Zoo! At this bunk, Girl Scout Brownies will earn their “Pets” badge through a very special experience! You and your group will explore the Zoo and its exhibits, learn about different animals, and participate in activities that support badge work. Questions? Please contact the Guest Care Center at (720) 337 – 1400 ex. 4 or guestcare@denverzoo.org. Girl Scout Day at the CSU Environmental Learning Center is Saturday, May 4, 2019. Brownies, 9 – 11:30 a.m.
Juniors, 12:30 – 4 p.m. Registration closes April 20 or when capacity is reached. The ELC is an ideal place for Girl Scouts to work toward and complete many of their badges Our site provides great, close-to-home opportunities to explore and learn about the natural world. Brownies: Join us to earn your Hiker Badge at 9 – 11:30 a.m. This program is limited to 40 participants. Juniors: Join us to earn your Geocacher Badge at 12:30 – 4 p.m. This program is limited to 20 participants. Cost is $7 per Girl Scout for each program. Price does not include badge and no badges will be distributed at this event. The APhA-ASP Women’s Health Initiative at the CU Skaggs School of Pharmacy is excited to announce our fourth annual “Becoming a Girl: Preventative Health Workshop” on Saturday, April 27, 2019 from 9 a.m. – noon. Workshops will include body image, nutrition, bullying, medication safety, stress management, and exercise/dance! The link also includes a map of how to get to our campus, where to park, and who to contact if you have any questions or concerns. Several girls approached me at the workshop last year and expressed how much they valued and enjoyed this opportunity. We hope your troops can learn something new (and have some fun) with us on April 27! They will get patches for attending! Tracie Vanhorn at tracie.vanhorn@ucdenver.edu (719) 650 – 1744. Our troop had a swim party with our service unit. I love to swim. It is my favorite thing to do. Swimming is great exercise. When it is winter in Colorado, we have to swim at indoor pools because it is too cold outside. In the summer, we go to outdoor pools. Girl Scouts of Colorado hosts a pool party at Pirates Cove each year. We try to go every time. 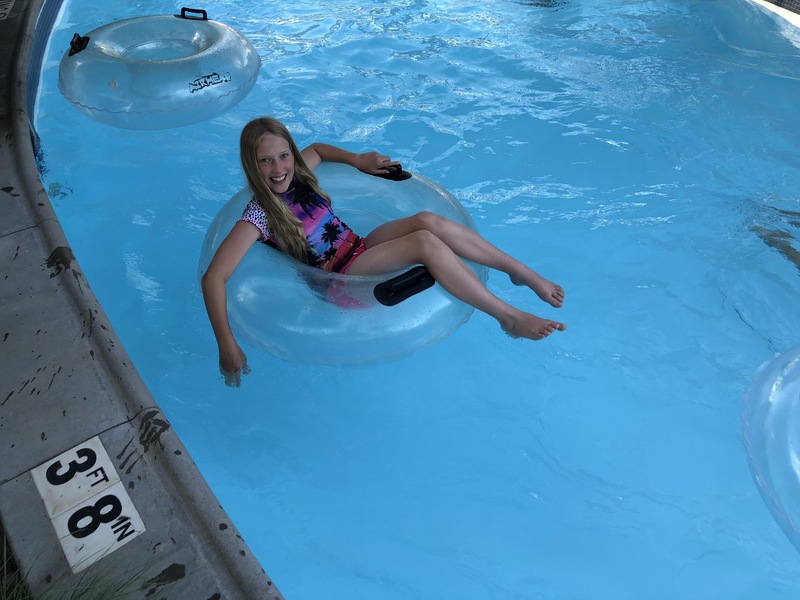 The games we play in the lazy river are my favorite. It is the best when we are able to meet friends or bring a group because we have more girls to play with. 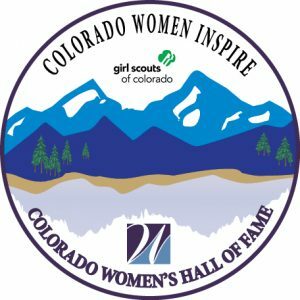 Girl Scouts of Colorado is hosting a photo challenge! Just submit your favorite Girl Scout photo and the story behind it using the Share Your Stories form (www.gscoblog.org/share). Winners will be featured in future GSCO marketing materials, on GSCO’s social media networks, and on the GSCO Blog. 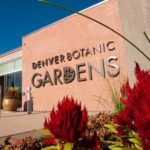 Girl Scout Daisies are invited to the Daisy Flower Garden Journey at the Denver Botanic Gardens on Saturday, April 27 and Sunday, April 28, 2019! Spend part of your day at the Gardens and complete this fun Daisy Journey. Daisies will tour ten activity stations and complete fun gardening-themed activities to meet Journey requirements. Troop leaders and parents: this is a great opportunity for Daisies to complete their first Girl Scout Journey! This Journey event includes a service project, which means Daisies can complete the whole Journey by visiting all ten stations throughout the Garden. You are also free to visit all the Gardens have to offer throughout the event and after activity stations close. Choose from a 9 a.m. or 11 a.m. entry into the Gardens on Saturday or Sunday. Activity stations will close each day at 2 p.m.
Space is limited to 125 Girl Scout Daisies per entry time with a total event capacity of 250 Daisy Girl Scouts each day. This event usually fills early, so we recommend registering as soon as possible. Registration will close April 16 OR when event capacity has been met. Please note, this event is for the Daisy Flower Garden Journey and does not include earning Daisy Petals, as that is a separate activity. The event fee does not include Journey books and petal badges. Troops and girls can purchase Journey books and badges at the GSCO store or at our online store at http://www.girlscoutshop.com/COLORADO-COUNCIL. Journey books are not required, but some troops find them helpful to bring along to the event. This is not a drop off event. All Girl Scouts must attend with a parent, guardian, or troop leader. Siblings and tag-alongs may attend but may not participate in activity stations. Girl Scouts of Colorado and the Colorado Avalanche partnered to host the annual Girl Scout Day with the Avalanche on Saturday, February 16, 2019. The troop with the top ticket referrals won a Girl Scout Cookies booth at the game and Troop 76134 won for the second year in a row! The troop also had a special pre-game experience, watching the players warm up. Some girls sat in the penalty box and some on the bench! After watching most of the game, the girls set up to sell Girl Scout Cookies at both exits! They sold 548 packages of cookies – beating their sale at the game last year. The whole troop thanks the Colorado Avalanche for this special opportunity! Look out for information about Girl Scout Day with the Avalanche again next year.